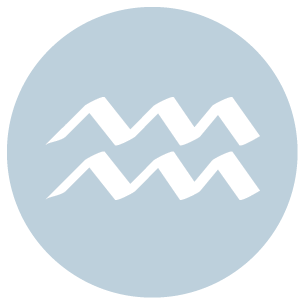 The Moon is in Taurus all day (until Tuesday, January 19th, at 4:12 AM). You can have your head in the clouds today, dear Aries, in an entirely good way. This morning, you’re looking for a bit of inspiration, and probably finding it in hidden places or in your imagination. This is a time for believing in your plans and faith in your ability to bring your dreams to reality. Intimate matters are warm, easy, and natural. Peace with the past, even in a small dose, can be refreshing. Towards midday, there can be some worries and impending obligations to deal with – a small reality check. As the day advances, you’re in a good position to open up to someone. It’s also a strong time for coming up with real, useful plans and ideas for the future. Your talents may be on show in some way, or others are noticing your efforts, intelligence, or wit. 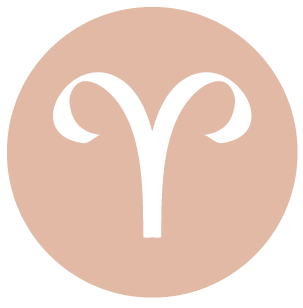 The Moon in your sign, all day, stimulates your need to acknowledge your emotions, dear Taurus. Emotional needs are more pronounced now, but there’s also a focus on your connections. This is a good day for helping and enjoying a partner and/or friends. You may be putting a little more faith in a dream, and given to fantasize or pursue some of your more unusual desires. People seem more accepting and generous, and pressures tend to ease. It can feel especially good to understand people and for them to truly “get” you as well. You may be fascinated with, or persuaded by, someone today. Tonight, you can learn and guide others through sharing ideas, cultural tidbits, and so forth. Your mood is exploratory and playful, and you’re coming across well. 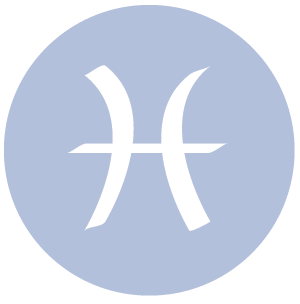 You might wonder why you worry so much today, dear Gemini, as it’s truly a waste of time and psychic energy, and it’s easier to see this with the energies of the day. Make time, if possible, for relaxing activities. This can be a nice day for coming up with creative solutions to problems, or to discover a new line of thinking, a program for health management, or work idea. You typically welcome activity and movement in your life, but allowing time to process recent events and to enjoy the moment can be refreshing now. 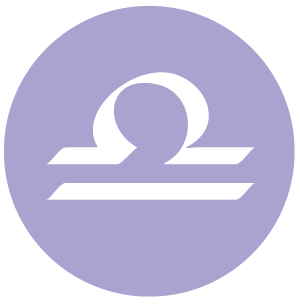 The Moon in your privacy sector all day is another message from the cosmos to slow down a little, get extra rest, build strength, and take a break from demanding or competitive situations. As the day advances, communications improve. 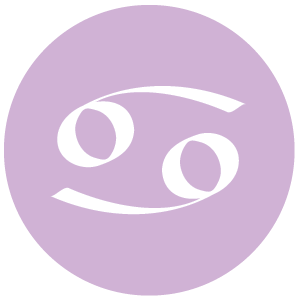 You feel a little freer freer to express yourself today, dear Cancer, and others are responding to you well, although there may be some clarifications to make with a significant other. Sometimes, it’s healthier to let something go and move on, and today this can be obvious. Shared goals and visions are appreciated, and imperfections in yourself and others are either ignored or, if they are recognized, seem rather endearing. You could be drawn to someone who exudes strength or who easily and readily takes the lead. News might be touching and inspirational. Your own mood is cooperative, and you may be meeting with people who either share and reinforce your perspective on life, or appreciate it. Spirited connections might be made. The morning brings good energy for resolving conflicts, dear Leo, even if these are simply within yourself. Negative thoughts and feelings of resentment might be effectively released through massage, body work, and various activities that relieve stress and calm you down. It’s a time for making adjustments and adapting rather than for bold moves. Some form of realignment or re-routing can do you good. Slowing down can actually help you to advance both in your personal and professional lives. Whether you’re giving support or receiving it, it can feel good to take action on emotional matters. You are in need of some type of spiritual or creative escape. Towards midday, there can be technical problems to deal with, likely to do with work or creative pursuits. However, as the day advances, communication problems tend to iron themselves out, if only for the time being. Your mind is very tuned in for research and analysis. An intimate conversation can be revealing. 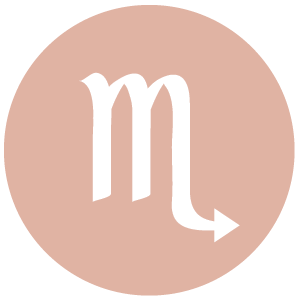 Sometimes we need to let go of attempting to control our lives and surrender to the unknown, dear Virgo, and a Mars-Neptune influence this morning is a reminder to nurture your faith. Sharing ideals and more spiritual goals with someone special can be in focus now. Partnerships can thrive as you can experience a strong feeling of intuitive connection. You may even be finishing someone’s sentences. The Moon harmonizes with yours all day, and this stimulates your seeking, hopeful, and courageous side. It’s not the time to tie you down, but you’re also relaxed enough to enjoy yourself and your connections with others. Towards midday, there can be some practical problems to iron out, particularly around the home or with projects close to your heart. However, as the day advances, it can be a great time for expressing your more poetic and thoughtful side. Someone may help release you from a pressure or worry. 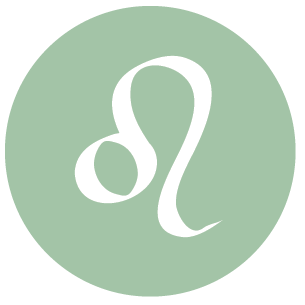 You can benefit from some brisk physical activity and creative pursuits this morning, dear Libra, which can feel especially healing. Releasing recent tensions about money or time management is likely now, and can even indirectly lead to a wonderful idea for solving problems in these areas. The natural arts can appeal and soothe greatly now – earthy activities, photography, pottery, and so forth. Anything that gives form to some of your feelings can benefit. A partner or significant people in your life can be more understanding, accepting, or possibly even romantic. Even so, there can be some indecision with family and perhaps you could feel that others are not on board with your plans. The things that seem to be larger than life midday tend to shrink back to their petty size as the day progresses. There is a “live and let live” energy now that allows you to let go of negative thought patterns. You might discover something about your line of work and how to make it more suitable to your mission in life. 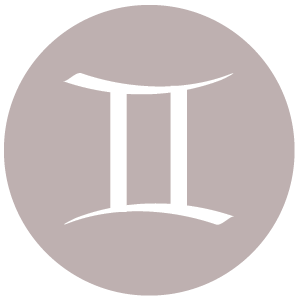 Both competitive and cooperative activities can do well early today, dear Scorpio. 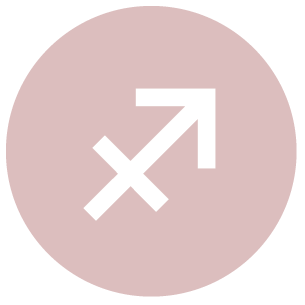 Even with Mars in your sign encouraging you to get moving, its trine to Neptune today suggests that it’s best to take things naturally, slowly, and patiently at the moment. Energy levels tend to be even and smooth. Creatively and romantically, you are in good form – and in a good light as well. Others are drawn to you magnetically. Release pressures to control your day and others, which will come naturally tonight. Towards midday, there can be problems getting your point across, and you could find that people around you are a little sluggish or not very gracious. As the day advances, they’re more inclined to put their faith in your powers of reasoning, and for good reason. You are willing to take some creative risks when it comes to writing and speaking, and the results are super. You are bright and alert, yet also more sensitive to how others are receiving your message. You just might even be feeling a bit poetic! This morning’s “live and let live” attitude becomes you, dear Sagittarius. You’re feeling a little withdrawn anyhow, and happy to release negative feelings. Dreams, whether they occur while sleeping or awake, are rich now, and intuition is elevated to entirely new levels. Let your imagination run wild. Focus healing energy inward. Clear the decks for future action. Tensions of the “real world” tend to hit towards midday, which can be frustrating but entirely manageable. Communicating effectively hasn’t been at its peak recently, but as the day advances, you’ll feel that it’s easier to get your message across, and that people are a little more accepting and willing to listen. You are also tuning in to the right cues on practical levels now. A family or money problem may iron itself out, with a little help from your ability to approach a dilemma patiently. 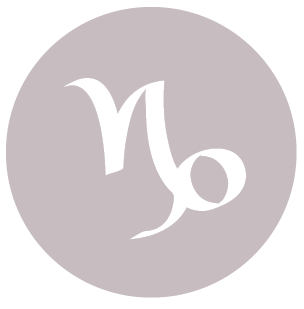 Cooperation is vital to your happiness early today, dear Capricorn, and you’ll avoid any situations that seem to promise conflict or negative vibes. You have no time for conflict or competition. The usual goals or desires that goad you on tend to fall into the background long enough for you to consider more spiritual or neglected emotional areas. You are looking for inspiration, and something you read or that’s communicated in your networks can be just the ticket. Minor irritations can seem larger than life towards midday. Let go of negatively spiralling thoughts, and you should enjoy a lot more peace and quiet as the day advances. Inspiration can come from a communication from a friend. 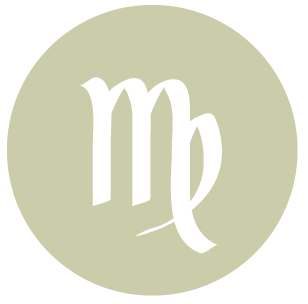 Communicating your intentions is exceptionally natural right now, which is refreshing as there can be little worse than having to explain yourself at every turn – something that may be more frequent these days with retrograde Mercury in your sign. The nesting urge is a little stronger than usual for you today, dear Aquarius. Retreating from worldly concerns temporarily if only in spirit can in fact renew you for the next round of activity. Your hunches or ideas today can be very much worth your attention. Even though it seems counter-productive, sometimes slowing down helps us to move forward as we stop overthinking, and this can be the case now. Towards midday, there can be some miscommunications or coolness in others to contend with, but as the day advances, people seem more and more willing to listen rather than making quick judgments. This atmosphere is a tonic for you. Find ways to unwind and enjoy easier, more intuitive conversations. Alternatively, if you are looking for answers to nagging personal problems, you may very well find the necessary resources with a little effort. This morning, you can feel right in your element, dear Pisces, with Mars in harmony with Neptune, your ruler, in your sign. Take advantage of this energy and aim to reduce stress and to let go of unreasonable pressures, even if it means disengaging yourself from tense feelings or thoughts, and removing yourself from unpleasant environments. Others are likely to appreciate and enjoy your point of view and unique perspective, and you may be moved to reach out and support or help someone in need. Business ideas can be especially creative and imaginative now, so take special note. Towards midday, you can be made aware of practical responsibilities getting in the way of your personal plans. As the day advances, it’s easier to relate to others in the way that suits you best – with understanding and fairness. Effective communications are not all about scoring intellectual points, and tonight’s energies favor the human element involved. 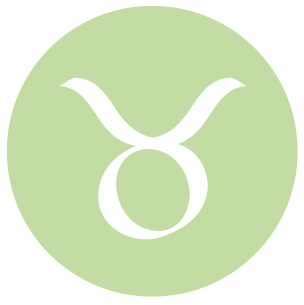 If Your Birthday is January 18th, If Today is Your Birthday full horoscope here. We need a break from the usual routine and from pushing ourselves ahead. We might be taking action towards filling a dream or from inspiration. We are not inclined to follow rigid rules, directions, and schedules, but tend to follow our intuition or inner guidance/gut feelings. Our fighting, defending spirits are strong. We may be too quick to take offense or to make judgments. Avoid unnecessary conflict and overreaching. Direct excess energy into positive enterprises for positive results. 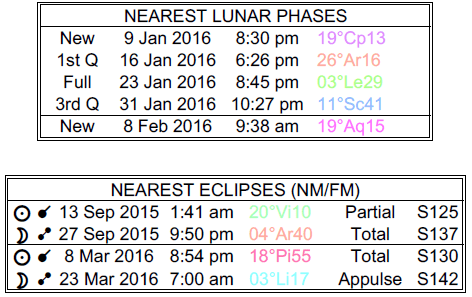 Moon 05° Capricorn 55' 06"
Mercury 09° Aries 37' 30"
Venus 04° Aries 32' 20"